The old adage “you are what you eat” has never seemed more true than in this era, when ethics, politics, and the environment figure so prominently in what we ingest and in what we think about it. Then there are connoisseurs, whose approaches to food address “good taste” and frequently require a language that encompasses cultural and social dimensions as well. From the highs (and lows) of connoisseurship to the frustrations and rewards of a mother encouraging her child to eat, the essays in this volume explore the complex and infinitely varied ways in which food matters to all of us. 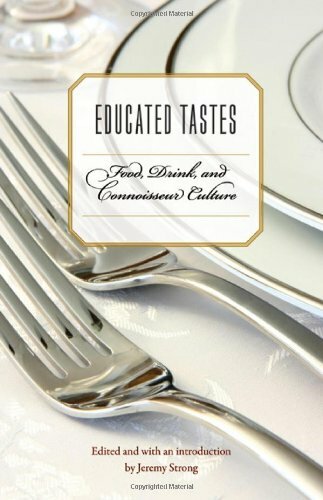 Educated Tastes is a collection of new essays that examine how taste is learned, developed, and represented. It spans such diverse topics as teaching wine tasting, food in Don Quixote, Soviet cookbooks, cruel foods, and the lambic beers of the Belgian Payottenland. A set of key themes connect these topics: the relationships between taste and place; how our knowledge of food shapes taste experiences; how gustatory discrimination functions as a marker of social difference; and the place of ethical, environmental, and political concerns in debates around the importance and meaning of taste. With essays that address, variously, the connections between food, drink, and music; the place of food in the development of Italian nationhood; and the role of morality in aesthetic judgment, Educated Tastes offers a fresh look at food in history, society, and culture. View More In Cooking Education & Reference. If you have any questions about this product by University of Nebraska Press, contact us by completing and submitting the form below. If you are looking for a specif part number, please include it with your message.